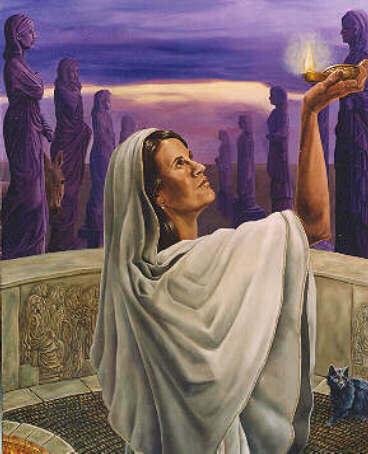 Hestia, by Sandra M. Stanton. This artist's website is www.goddessmyths.com. Please visit and be sure to buy stuff!